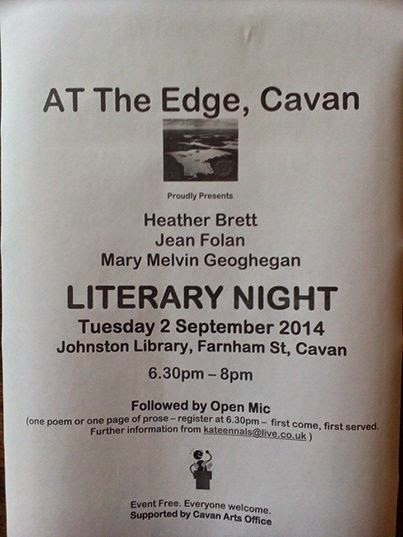 The third AT The Edge, Cavan literary evening, takes place on Tuesday 2 September in Cavan Library, Cavan town. The featured readers are three poets, Heather Brett, Mary Melvin Geoghan and Jean Folan. The event begins at 6.30 and ends at 8pm sharp. Everyone welcome, no entrance charge. The evening will also include an Open Mic session so arrive early and get your name down. 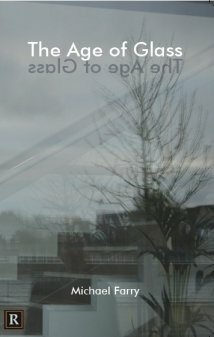 The, organizer, Kate Ennels, blogs about the experience here on Short Story Ireland. This seventh annual Feis Teamhra / A Turn at Tara features readings and performances by internationally-recognized Irish writers and musicians. The headliners this year are Nuala Ní Dhomhnaill, Hugo Hamilton and Christine Tobin, with contributions from Susan McKeown and Paul Muldoon, the co-curators of Feis Teamhra. 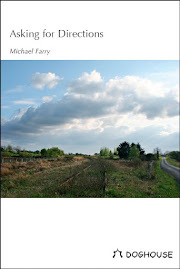 Presented in association with Poetry Ireland. Poets are invited to submit short manuscripts of between twelve and sixteen pages of poetry to the iOTA SHOT awards 2015. 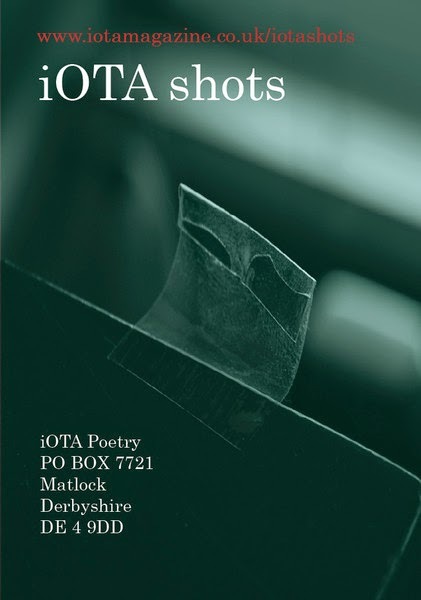 Up to three manuscripts will be chosen for publication as iOTA Shot Pamphlets. Submissions are invited from both new and previously published poets. Closing date for all submissions: Monday 10th November 2014. The Manuscript must not have been previously published but individual poems previously published in other publications may be included. Postal and online submissions are welcome from anywhere in the world. Postal and Online Submission payments may be made online. Full details and online submission. Issue 14 of the prose and poetry journal, Prole, has just been released and is available on the website: "Prole is a print magazine that publishes high quality, accessible poetry and prose. We aim to challenge, engage and entertain - but never exclude". Submissions are now open. Guidelines here. Contributors receive a royalty payment. Prolitzer Prize for Prose is now open for entries. Judge: Sue Pace has over 120 short stories, personal essays, poems and non-fiction articles published in regional and international formats. This includes not only literary journals in the USA, but also journals in Australia, the UK and Canada. Open for entries until 1 October 2014. Winners will be announced in issue 15 of Prole in December 2014 and on the website by 15 December 2014. Word limit 2500. All work must be the original work of the writer and be unpublished. Fees: £4.00 for first entry, £3.00 for any subsequent entries. Enter by email using PayPal. Details on the competition page on the website. Poetry Now at dlr Book Festival 2014 is on from Thursday 11 to Sunday 14 September in Dun Laoghaire. Poetry highlights include The Poetry Shed celebration of Dylan Thomas, readings with Vona Groarke, Don Paterson, Sinead Morrissey and Michael Symmons Roberts, Menna Elfyn in conversation with Nessa O'Mahony, a poetry writing workshop with Don Paterson and haiku writing workshop with Anatoly Kudryavitsky, the Irish Times Poetry Now Award and the Strong/Shine Award poetry reading. Full programme details are on the Mountains to Sea website. 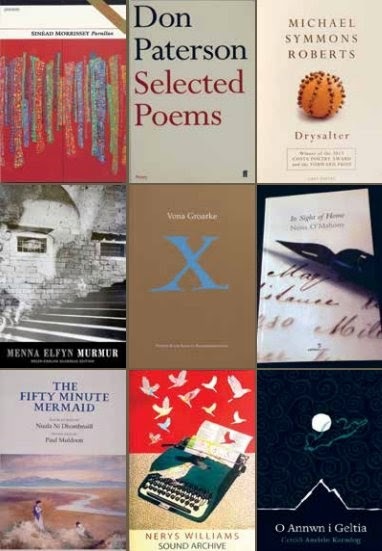 The shortlist for The Irish Times Poetry Now Award 2014 is: Tara Bergin "This is Yarrow" (Carcanet), Nick Laird "Go Giants" (Faber & Faber), Sinéad Morrissey "Parallex" (Carcanet), Conor O'Callaghan "The Sun King" (Gallery Press) and Billy Ramsell "The Architect's Dream of Winter" (Dedalus Press). This award is presented annually to the author of the best collection of poems in English published by an Irish poet in the previous year. The award will be presented at the Festival on Saturday 13 September 2014. The judges for this year's award are Katie Donovan, Nessa O'Mahony and Chris Morash. The shortlist for the Shine/Strong Poetry Award 2014 is: Tara Bergin "This is Yarrow" (Carcanet), Paula Cunningham "Heimlich's Manoeuvre" (Smith/Doorstop), Martin Dyar "Maiden Names" (Arlen House), Nicki Griffin "Unbelonging" (Salmon Poetry) and Jim Maguire "Music Field" (Poetry Salzburg). The award is presented annually to the author of the best first collection of poems published by an Irish poet in the previous year. The award will be presented at the Festival on Sunday 14 September 2014. 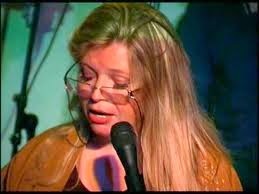 The judge for this year's award is Mary Shine Thompson. The Allingham Flash Fiction Competition will be judged by Donal Ryan, the Allingham Poetry Competition by Monica Corish. The prize in each category is €250. The winners and runners up will be invited to read their work at the Allingham Festival on Saturday, 8 November 2014. You may submit up to 5 poems, maximum 40 lines per poem; and up to 5 flash fictions, maximum 700 words each. Entries (whether emailed attachment or hardcopy) must not have any identifying name on them. The entry fee for both competitions is €4 for 1 entry, €10 for 3 entries, €15 for 5 entries. Entries can be submitted by email or by post. Poems and flash fictions must be submitted separately. Full competition details can be found on the website. Labels: Allingham Poetry & Flash Fiction Competition; Monica Corish; Donal Ryan. and the sky’s ever-changing patterns. where the word is read, psalms chanted. corners of plastic sheets flap in the wind. be mystified by the long silence. than scraps and relics of medieval sanctity. 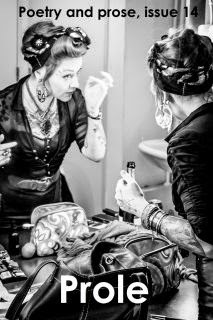 absorbed in the task, silence essential. as they uncovered the skeleton. of his or her small coffin. chose a Christian name for the dead one. and the uncertainties of childhood. Only the name will escape them. 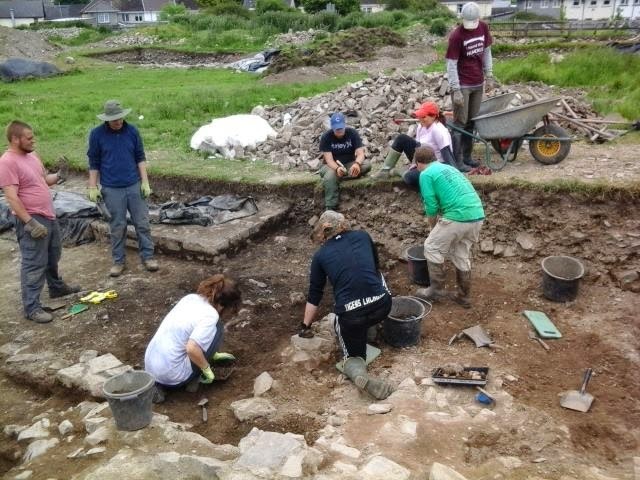 Last year I spent a couple of days as a volunteer on the Blackfriary archaeology dig in Trim which is run by the Irish Archaeology Field School. 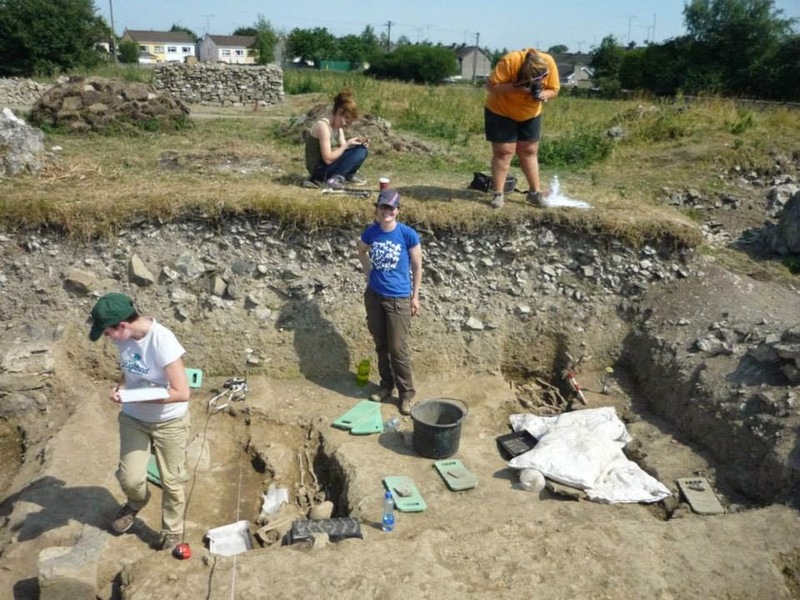 I've always been interested in archaeology, did it for my BA from UCD which was done as a night student long ago so no hands-on experience just lectures. But lectures from some very eminent archaeologists including Ruairí deValera, George Eogan and Michael Herity. So I wrote a series of poems about the dig, mixing fact and fiction, present and past. The IAFS have kindly displayed some of the poems at their pop-up museum in Trim Library and on their Facebook page. The above picture is taken from their Facebook page. Here is the first in the series. The Dominician mendicant friars who lived in the priory would have been engaged on the quest, begging for alms, as a regular activity, hence questing. 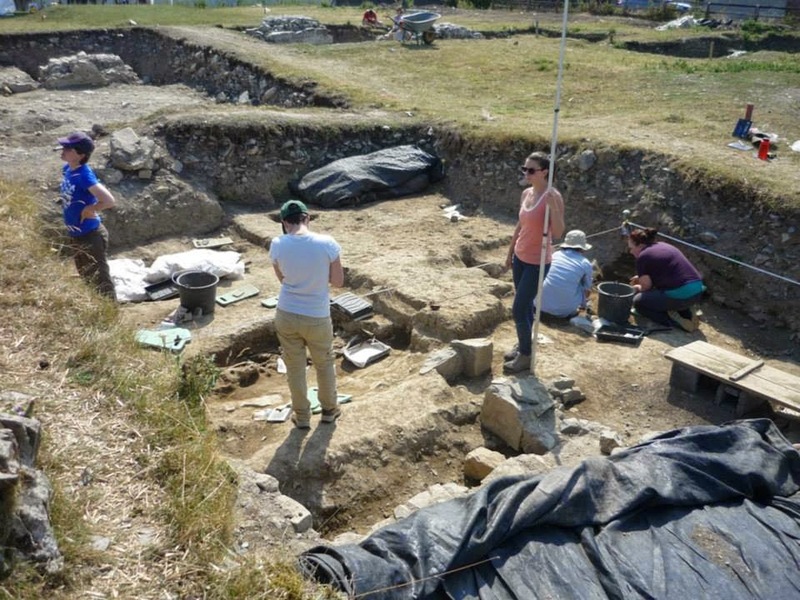 At a conference in Trim Colman Ó Clabaigh OSB, an expert in this field, said that the Dominicians in particular were prone to grant dispensations from some of their rules to their friars. In his book "The Friars in Ireland 1224-1540" he mentions dispensations given by Dominician and Augustinian priors general to friars to "ride a horse, take baths and use linen cloth". The Dominician rule specified that rougher woolen clothes had to be worn. A nice detail like this is worth remembering and including in a poem. "The Friars in Ireland, 1224-1540" by Colmán Ó Clabaigh OSB, published by Four Courts Press, was the winner of the 2013 Irish Historical Research Prize, awarded by the National University of Ireland. fill a barrow, dump by the ditch. took patient days to uncover the skeleton. They thought it male, old, my height. eat meat and use linen underwear. he will never have time to write down. Submission are now open for Issue 2: Autumn-Winter 2014 - North West Words Magazine. Submissions of poetry, fiction, non fiction, art or photography are welcome. Please send up to 3 poems or one short story (max 2000 words) or flash fiction (max 500 words) or jpgs of art/photography to editornww@yahoo.ie with 'Submission' and whatever category you are submitting to, as the subject of the email 1 September. Include an up to date bio, a photo and your website/facebook/blog links. 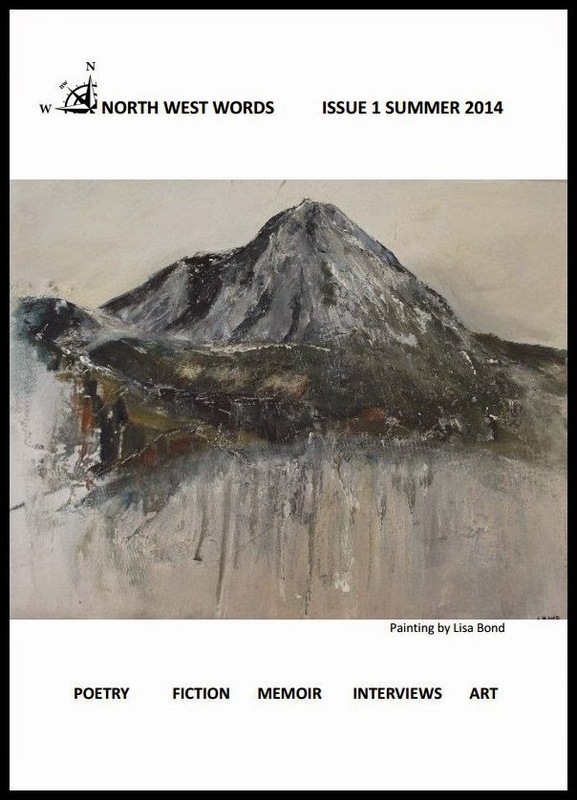 North West Words will publish three issues a year Autumn-Winter, Spring, and Summer. Editorial team Maureen Curran, Eamonn Bonner and Denise Blake. Issue 1 is free to read here. I was delighted to have a poem included. The winner of the The Hawk’s Well Theatre’s iYeats International Poetry competition was announced on Thursday 31 July at a ceremony at the Hawk’s Well Theatre during the 55th Yeats International Summer School. nd the judges decided to commend three further poets this year – Connie Roberts for ‘Oasis’, Phil Lynch for ‘Changing Light’ and Heather Richardson for ‘Telling’. The iYeats Poetry competition was launched by the Hawk's Well Theatre in 2009 to mark the 50th Yeats International Summer School and the 70th anniversary of the death of W. B Yeats. The judges for 2014 were Peter Sirr and Catherine Phil MacCarthy. Read the winning and commended poems on the Hawk's Well website page here. The judges comments are on this page. Connie Roberts ‘Oasis’, Phil Lynch ‘Changing Light’, Heather Richardson ‘Telling’. Labels: iYeats Poetry; Hawk's Well; Winifred McNulty; Connie Roberts; Phil Lynch; Heather Richardson; Peter Sirr; Catherine Phil MacCarthy. It was most appropriate that this year's annual Francis Ledwidge Day Commemoration should take place on Sunday last, 3 August, the centenary of the day when Germany declared war on France and invaded Belgium. 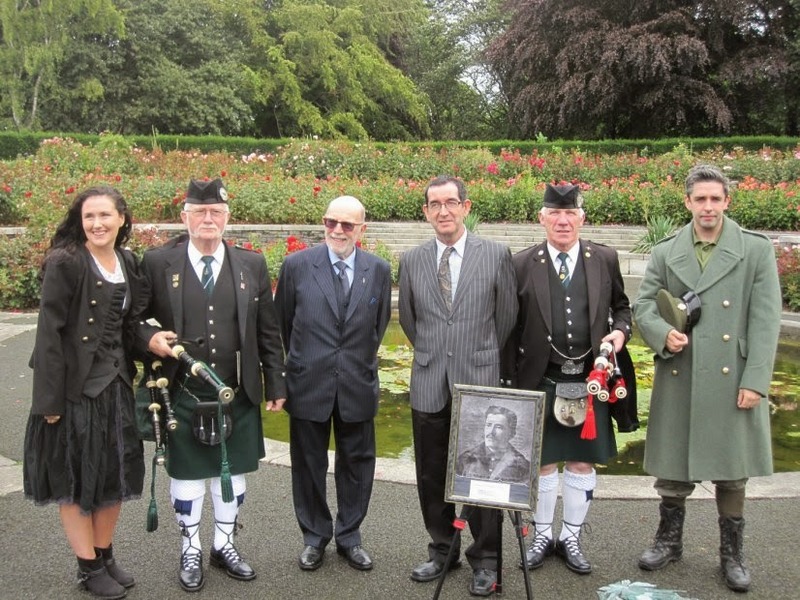 The Inchicore Ledwidge Society together with their friends and guests gathered at the Irish National War Memorial Gardens, Islandbridge, Dublin for what was their 19th such Ledwidge Day commemoration. The guest speaker was former Senator Neville Keery and the afternoon of wreath laying and poetry readings was enlivened by the addition of members of the Thomas Mac Donagh Pipe Band, Martin Fogarty and Joe Barry, who played at intervals though the proceedings. There was also a lively performance by actors Ian Meehan (as Frank) and Linda Teehan (as girlfriend, Shivvy) from Gerard Humphrey’s play ‘Friendly Fire’ to be staged at the New Theatre, Dublin on 29th September next. 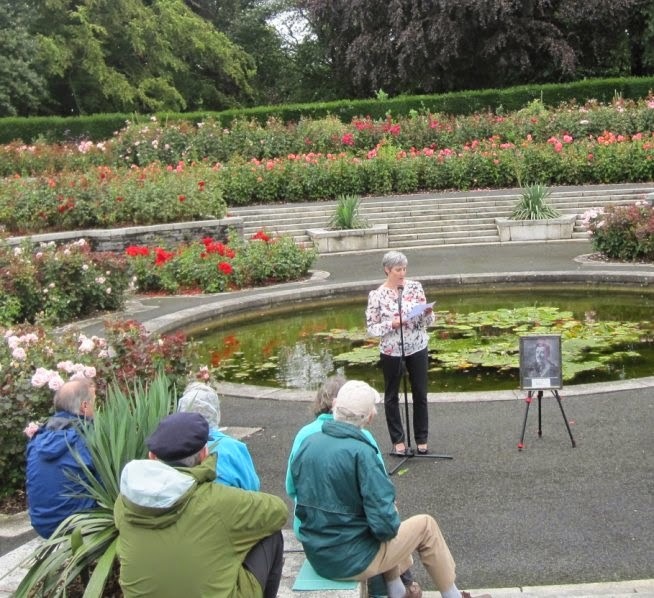 Other guests included, Maireád Donnellan, Cavan, a member of Cavan/Meath LitLab group, who performed the poem that won her the Ledwidge Award 2013 (pictured below). Also present were Muriel Mac Auley, grand-daughter of Thomas Mac Donagh, Gaelic scholar, Declan Collinge and established poet Rosemary Rowley TCD. The annual Ballymote Heritage Weekend is taking place this weekend in Ballymote, Co. Sligo. The full details are on the website. This includes the launch of their annual publication, The Corran Herald, which includes articles on the history, archaeology and traditions of County Sligo with special emphasis on south Sligo. I have an article in this year's issue which deals with the meeting, and subsequent short correspondence, of two south Sligo men and the Irish-American activist, Joseph McGarrity, at the Teeling Monument, Collooney on Garland Sunday 30 July 1911 while McGarrity was on a motoring tour as part of his honeymoon. 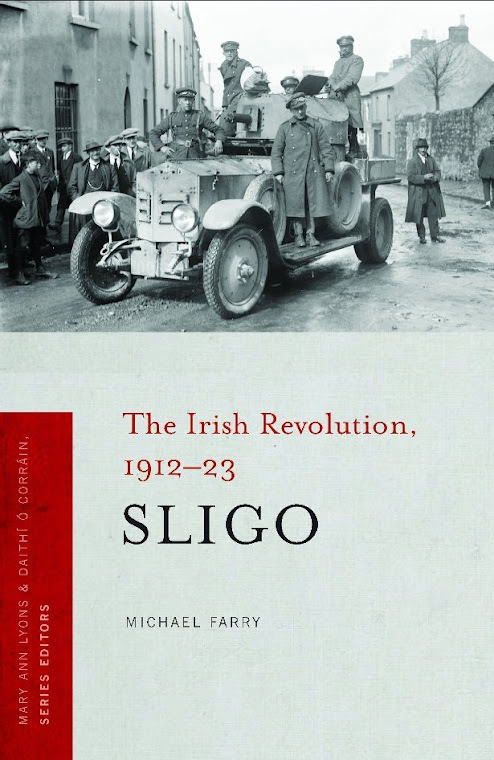 Last year's issue of the Corran Herald can be read online and has an article of mine on another interesting south Sligo meeting, between an IRA commandant and the O/C of British troops in Sligo, which occurred in May 1921. Sunday 3 August 2014: Afternoon tea at Templehouse, Ballymote with Classical and Baroque Music. Monday 4 August 2014: Lecture: Family Names in the Place-names of Sligo by Dr Conchubhar O Crualaoich. Time: 8.30pm. Venue: Teagasc Centre, Ballymote. Cost: €10. The second Bailieborough Poetry Festival will take place on the weekend of Thursday 9 to Saturday 11 October. As part of the festival there is a poetry competition. Full details are on the website. Closing date for entry is Friday 26 September 2014. First prize of €250 for winning poem with 2nd and 3rd prizes also to be awarded. 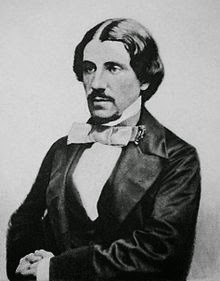 Each poem must not exceed 50 lines, and should be typed, single-spaced. Up to three poems may be submitted per entry. You may submit as many entries as you wish. A fee of €5 per entry (3 poems) is payable. Payment should be made via the PayPal button on the website. Submissions can be emailed or posted. The judging panel this year is chaired by Michael Farry, assisted by Máiréad Donnellan and Paddy Smith. All shortlisted poems will be featured at a reading at Bailieborough Poetry Festival on Saturday 11 October 2014, and authors will be invited to attend. Last year's winning poem by Annette Skade, and the shortlisted poems are on this page.